It’s been ten years since the last new Star Wars film. Episode III – Revenge of the Sith was the last in the trilogy of prequels which introduced Annakin Skywalker and followed his journey to the dark side. Many slated these films, with characters such as Jar Jar Binks geared towards a much younger audience. But now in December 2015, The Force Awakens is the first of yet another planned trilogy and takes place three decades after the events of the 1983 film, Return of The Jedi. Luke Skywalker, the last Jedi, is missing and the Republic, led by Leia Organa, is searching to find him. Resistance pilot extraordinaire Poe is sent to Jakku to meet a trusted contact who has a map with Luke’s location. Just as the map exchanges hands, Stormtroopers from the First Order land and launch an attack. Before Poe is captured, he stores the map in his BB-8 droid, who is found by junkyard scavenger Rey. Meanwhile Poe escapes with the help of Finn, a Stormtrooper with a conscience. They crash land back on Jakku where Finn stumbles into Rey and they escape following an attack by the First Order. Their journey then sees them encounter familiar characters and battles leading to a rollercoaster of emotions and revelations. There is an intensely familiar feel to the film, right from the opening credits, with the golden words setting the scene and disappearing in to the distance. The music is again scored by John Williams and has the same orchestral signature pieces that fans know and love. Taking place thirty years after the last of the original trilogy, the visual style is in the same vein, which is fantastic news for fans. It is also blatantly apparent that the narrative borrows heavily from the original 1977 Star Wars film, now known as A New Hope. Rey has no family, is scavenging on Jakku and proves to have an uncanny connection with The Force. BB-8 is the new R2-D2; just as sweet and funny, with his own personality traits. BB-8 also carries a hologram map to Luke’s location, and arch enemy Snoke is only ever seen as an enormous hologram, which adds to the threat of an enemy unseen. Han Solo and Chewy make a welcomed appearance, and there are several key scenes, both involving Han, with one taking place in a cantina, where Han meets his contact Maz Kanata. And to top it all, there is a new death star, capable of destroying multiple planets. But of course there are plenty of twists and turns. Without giving too much away, Kylo Ren is Snoke’s apprentice. He is desperate to prove himself to his master and to show he is better than his idol, Lord Vader. He has the powers of the force and yet feels himself drawn to the light side. There is the fiercely independent Rey, who contrasts with the strong yet uncertain Finn, the Stormtrooper who has defected and continues to run away from the First Order. 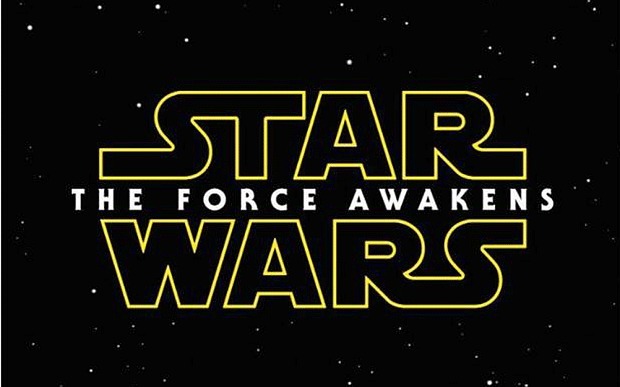 What The Force Awakens has going for it though, is most clearly being made in the same vein as the original trilogy. This is a film that appeals to the purists, those of us that grew up on the first three films and were grossly disappointed with the second trilogy. There is sheer childish delight at hearing the classic theme tune, smiling faces when Han Solo and Chewbacca appear for the first time and relief that R2-D2 and C-3PO make an appearance. The Millennium Falcon can still fly at lightspeed, there are space and light sabre battles, explosions and plenty of comedic moments. The characterisations are spot on, with the sassy one liners from Han, the slightly snarky comments between Han and Leia and the looks between characters that require no words. There is also enough mystery generated with the new leads to keep the interest. Why can Rey use the force with such instinct? Who are the parents she’s waiting for? Who is Snoke, and how did Kylo Ren become his apprentice? There is much that remains a mystery, even after the final credits roll, enough to make us want to come back for more when the next instalment is released. Overall, if you love Star Wars, you’ll love this revival.